STILL riding high from registering his maiden Group One victory last week, Lachie Manzelmann is in a solid position to add another feature to his tally at Tabcorp Park Menangle on Saturday night. Manzelmann was given a late call-up to drive Yayas Hot Spot in the Newcastle Mile after the son of Jeremes Jet gained a berth in the $100,000 event as the emergency. 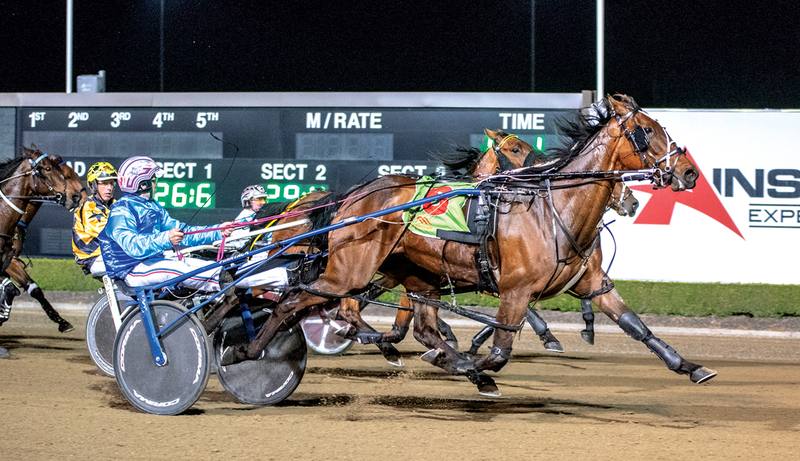 After receiving a ‘saloon passage’ along the home straight, the pair completed a $81 upset by accounting for Little Rascal and Picard in 1:54.7. This time around Manzelmann will contest the $50,000 Sibelia Stake with Bridget Blue Chip – Yayas Hot Spot’s Lauren and Shane Tritton-trained stablemate. Successful at the same venue last week, Bridget Blue Chip has drawn to figure prominently in the Group Two from the pole. “It’s a pretty quick front line, but she does come out well, so we will be trying to hold up as much as we can from the pole. “If she is up near the firing line during the run she will go will be very close. Should Bridget Blue Chip gain a start in the Ladyship Mile Manzelmann could be on target to drive in two of the southern hemisphere’s premier sprints. Thanks to his Newcastle Mile triumph Yayas Hot Spot received a ‘golden ticket’ to the $1million Miracle Mile. The two Miles are scheduled to be conducted Menangle on March 2. “We haven’t locked anything in but Lauren and I are both happy to see Lachie retain the drive behind Yayas Hot Spot in the Miracle Mile,” Shane said.